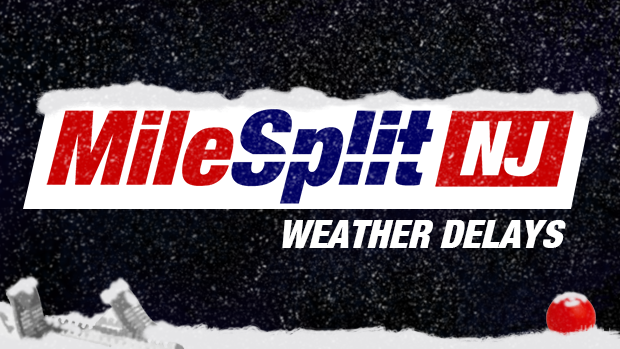 Announced Friday evening, due to the State of Emergency declared by Governor Murphy for Saturday the Group 4 Relays are postponed to Wednesday, January 23rd at 3:45pm. Please spread the word so that schools and coaches can prepare for the schedule change. 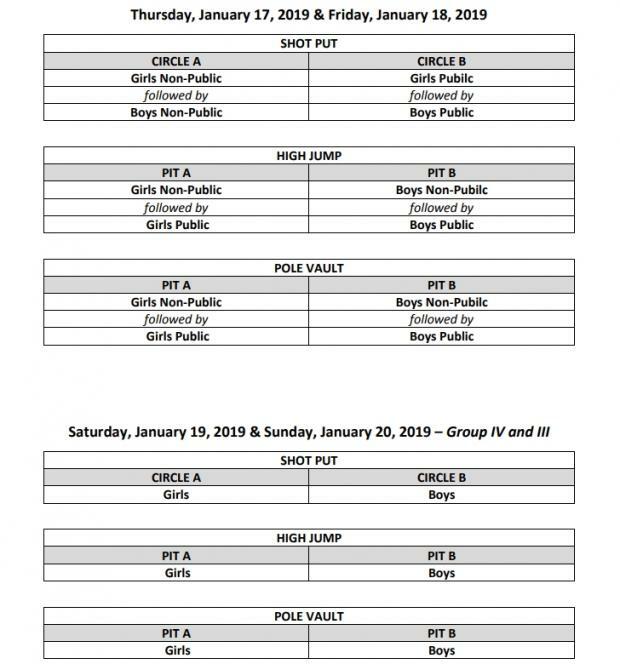 It was announced Friday morning by NJSIAA Assistant Director Bill Bruno that Sunday's NJSIAA Group 3 State Relay Championships are postponed to Tuesday January 22nd at 3:45pm. The NJCTC Frosh Soph meet scheduled for Sunday at the Toms River Bubble has been cancelled and will not be made up. *Group 3 postponed to Tuesday January 22nd. Group 4 postponed to Wednesday January 23rd.